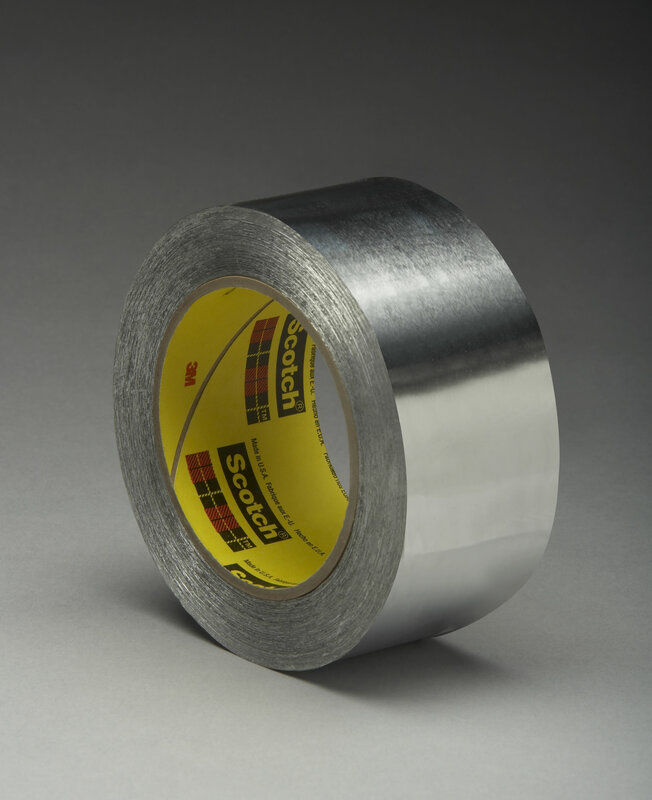 3M™ High Temperature Aluminum Foil Tape 433 3M 433L | Fabrico, A Division of EIS, Inc.
3M™ High Temperature Aluminum Foil Tape 433L can easily be die-cut into special sizes or shapes. Best results obtained when applied to a clean surface above 32°F (0°C), but tape can be applied from 0°F to 200°F (-18°C to 93°C). Performance range from -65°F to over 600°F (-54°C to over 316°C). Adhesive will gradually thermoset at high temperatures. As it thermosets, the adhesive mass becomes firm and gradually loses its pressure sensitivity but will continue to hold the tape in place. Flame resistant – meets requirements of F.A.R. 25.853(a). Moisture barrier around doors and windows to help prevent fogging of glass. Seal for automotive air bag inflators. To hold insulation on hot air ducts in industry. Cover resistance wire heating elements to distribute the heat. Splice jumbo rolls of aluminum foil or holding the last lap of narrow width rolls in preparation to annealing the rolls. Good holding, splicing, patching or general protecting tape on many applications involving high temperatures. Ideal as a heat reflective wrap along or over insulations, applied to tubes, engine support structures, missile ground handling equipment, or as a protector from other heat source areas such as hot areas in steel mills.